Abstract: The castle has long been regarded as a practical, military architecture, introduced by the Normans as a tool of feudal control. More recently, castles have been accorded a certain symbolic significance, expressing military and political power. However, this thesis argues that the castle was a meaningful architecture in a much more sophisticated sense than these arguments admit. It discovers complex iconographies of meaning in castle architecture through examination of castle imagery in a wide range of textual and visual sources, and in the architecture of castles themselves. The Introduction reviews the different approaches which medieval architecture of different kinds has attracted in modem criticism. An interdisciplinary approach is advocated, which uses a wide range of sources to build up a composite understanding of architectural meanings. Chapter I problematises accepted definitions of the castle which, through their rigidity, obscure the castle’s ideological significance. 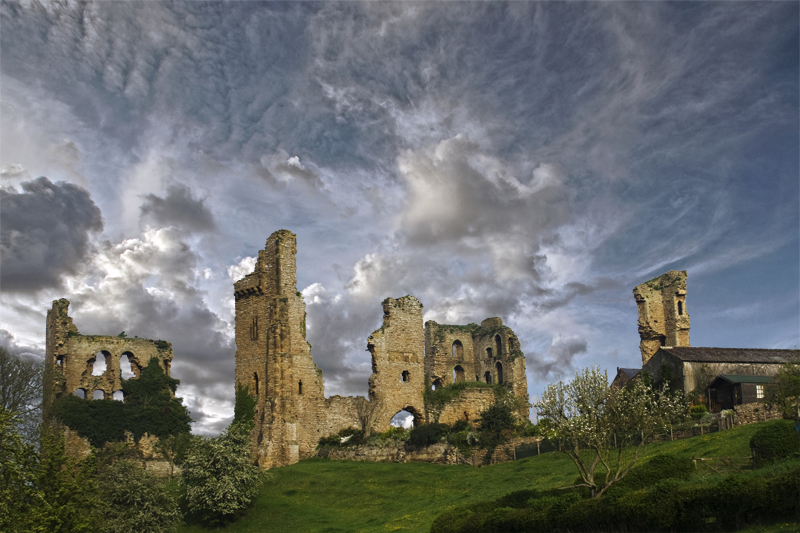 Linguistic and archaeological arguments are employed to show that the medieval understanding of the word ‘castle’ was more flexible than is usually recognised. Subsequent chapters explore particular implications of this flexible understanding of castle architecture within its cultural context. Chapter 2 challenges the idea that the castle was necessarily a private fortification, investigating its use in the construction of civic identity. Chapter 3 discovers affinities between ecclesiastical and castle architecture at practical and ideological levels, revealing the castle’s role in medieval Biblical interpretation. Chapter 4 explores the imperial and historical connotations of castles, noting their frequent association with evidence of the Roman occupation of Britain. These medieval ideas of the castle present an architecture with important historical, spiritual and civic symbolisms expressed through a complex architectural iconography. This understanding underlines the importance not only of the idea of the castle, but of the role of architecture in linking the material, the intellectual and the aesthetic in medieval culture.